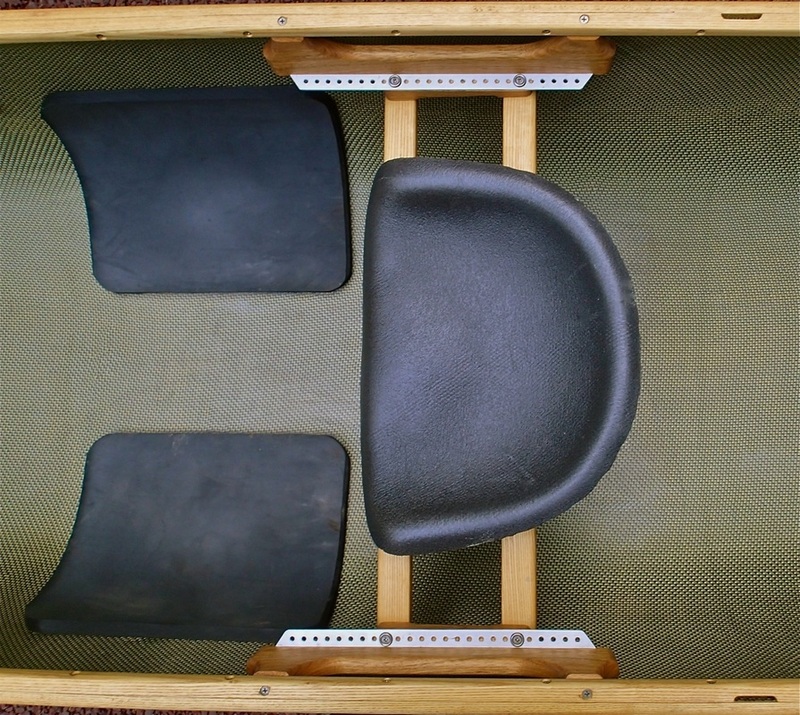 The seat bucket is custom laminated in-house using Carbon and Kevlar® fiber. It can be utilized for kneeling or sitting. 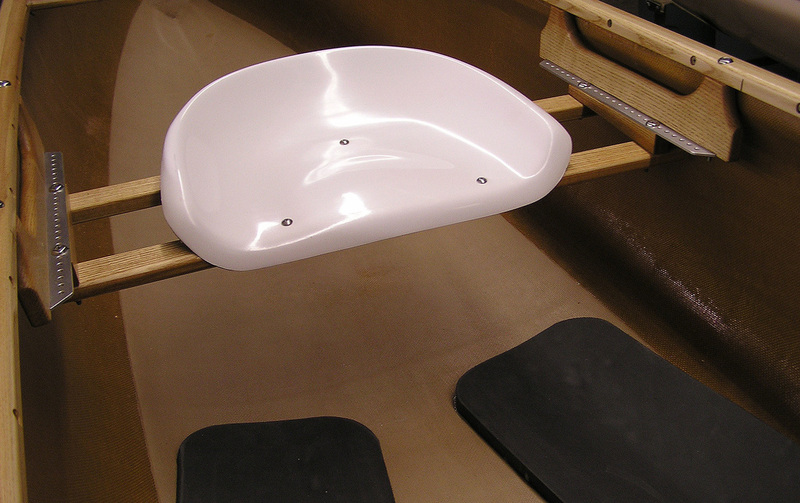 The contoured shape centers the paddler and provides a steady position when sit-down paddling. Foam padding is recommended for comfort and a non-slip surface. The seat is attached to laminated cross rails made of Ash with Basswood core layup. This allows for the most environmentally conscious use of woods and also gives a much more dimensionally stable and lighter seat rail than can be achieved using straight woods alone. These cross rails are attached to the bottom of the standard seat drops having a fixed position. Trim can normally be adjusted by the placement of day packs or tripping gear. Adjustable seat drops with tapered spacers are available as an option. The cross rails are attached to aluminum mounting plates that allow fore and aft adjustment of the seat in half-inch increments by removing four wing-nut's. This allows the paddler to adjust the trim of the boat to accommodate more personalized load arrangements such as carrying weighty objects forward of the paddler for accessibility, which can shift the balance point in an otherwise empty canoe. Remember to adjust the trim of the canoe slightly bow-light for better handling characteristics in most paddling scenarios.